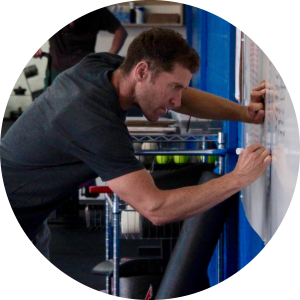 Kenny is the owner and head coach of the CrossFit Los Angeles School of Mastery where he created and implemented the Mastery Method. CFLA was founded in 2004 by Andy Patranek and was the 9th licensed CrossFit Affiliate in the world. The Mastery Method is a context based coaching methodology that integrates mental, emotional, and physical practices to provide tools for sustainable fitness programming. Kenny teaches Mastery Method workshops with his protege Matt Cipolla and their techniques have been successfully implemented in several locations internationally. He is also a successful personal trainer in Los Angeles with clients ranging from A-list celebrities to top executives. Kenny has an extraordinarily diverse background in athletics, coaching, and performing. He grew up in the family fitness business with a mother in the Swimming Hall of Fame and a father who was an officiant at the Olympics. At 15, he earned his Black Belt and began his coaching career as a martial arts instructor. Kenny attended UC Davis where he played soccer, ran track, and competed in triathlons. He then went on to teach physical education and drama in his hometown while training for the Olympic Trials. A career ending running injury pushed Kenny to shift his focus to standup comedy. He spent the 2000s touring the world performing standup and giving motivational talks on taking risks to do the things you love. Since 2013, Kenny has focused on improving the health and wellbeing of others through coaching. Andy is a tenured Professor in the Center for Sport Performance at CSU Fullerton where he opened the Biochemistry and Molecular Exercise Physiology Laboratory (BMEP lab). He is currently focused on teaching classes (Sports Nutrition, Exercise Physiology, Designing Exercise Programs, Applied Strength and Conditioning, Athlete Assessment and Measurement, etc.) 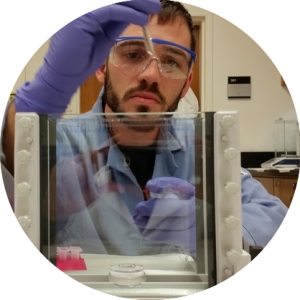 and running the BMEP lab which studies the acute responses and chronic adaptations of human skeletal muscle in response to high force/velocity/power and fatiguing exercise from the whole body, down to the individual muscle fiber and even into the individual DNA. His published research can be found here. Andy also has a broad athletic background. He played football for Linfield College (2004 National Champions) where he met lifelong friend Doug Larson, was a two-time Captain, and immediate inductee into the “All Ugly” Team. 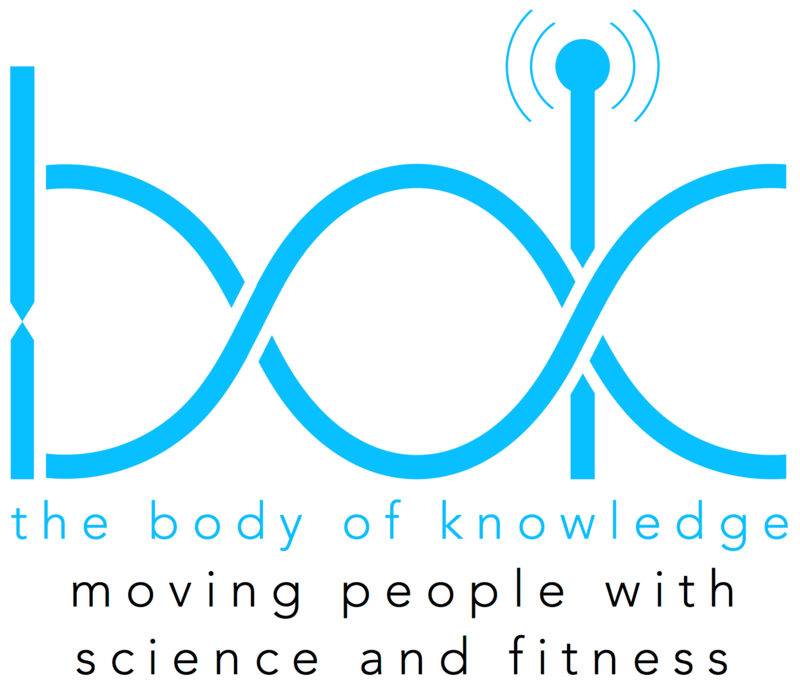 After graduation, Andy and Doug attended the University of Memphis for the Maters Degree in Human Movement Sciences where they met Mike Bledsoe and the late Chris Moore which eventually lead to the formation of Barbell Shrugged, the top Health & Fitness Podcast in the world. This also marked the beginning of Andy’s pursuit of competitive weightlifting (culminating in a 7th place finish at the 2007 USA Weightlifting National Championships), mixed martial arts, and Brazilian Jiu-Jitsu. Josh is an independent consultant and entrepreneur who holds a PhD in Statistics from UCLA. He works primarily with startups and small businesses to build sustainable systems grounded in behavioral science, reproducible research, and thoughtful measurement. Josh also has a background in brand marketing and public policy analysis having worked for Nike, inc. and the RAND corp. While at Nike, he developed a range of consumer engagement models that enable marketers to reach consumers in unprecedented ways. As an adjunct researcher for the RAND corp, he works on problems in social network modeling, behavioral science, and public health. Josh is an active student of the CFLA School of Mastery and has a background in weightlifting. He learned the Olympic lifts and mental toughness in training from his high school strength coach August Schmidt beginning in 2002. During that time, he placed in the top ten once at School Age Nationals and twice at Junior Nationals. Josh began coaching weightlifting at East Valley CrossFit in 2010 where he was mentored by August and introduced to CrossFit. He then served as the head weightlifting coach for CrossFit Reflex from 2014-2015 and CrossFit Pearl District from 2015-2016. 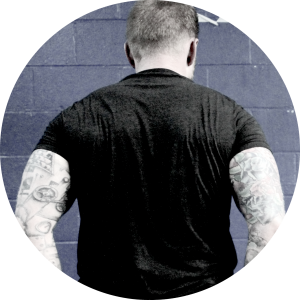 After a brief return to competition in 2015 at the American Open, Josh is primarily focused on optimizing lifelong health and wellness through a balance of different physical practices including CrossFit and weightlifting.